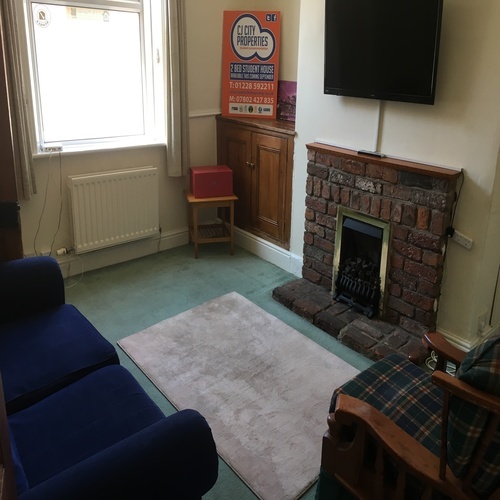 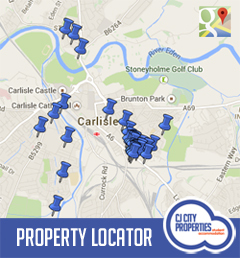 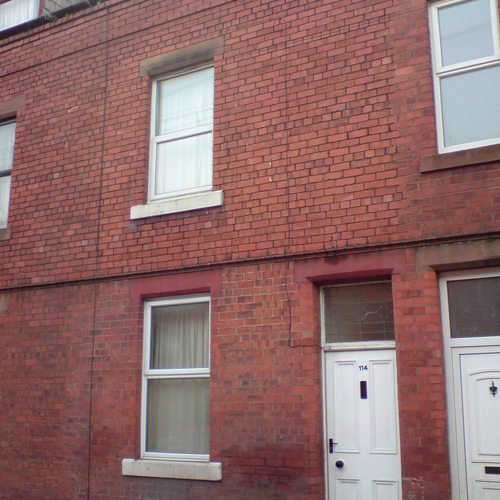 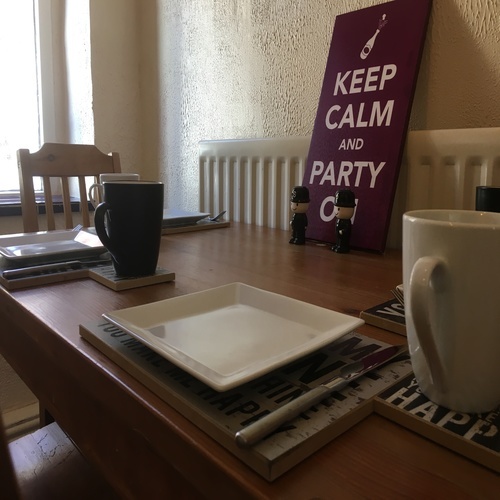 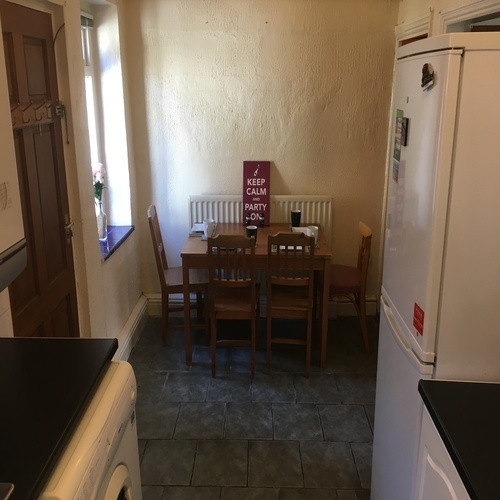 2 double bedrooms, sitting room, dining kitchen, first floor bathroom with shower, double glazed, combi boiler, gas central heating, self contained rear yard. 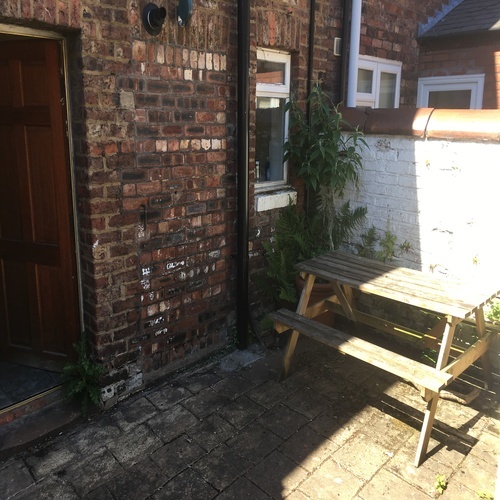 On street parking for two cars with Council issued Residents Parking Permit (currently free). 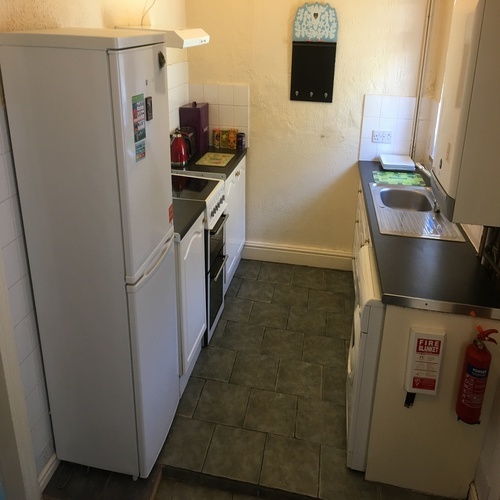 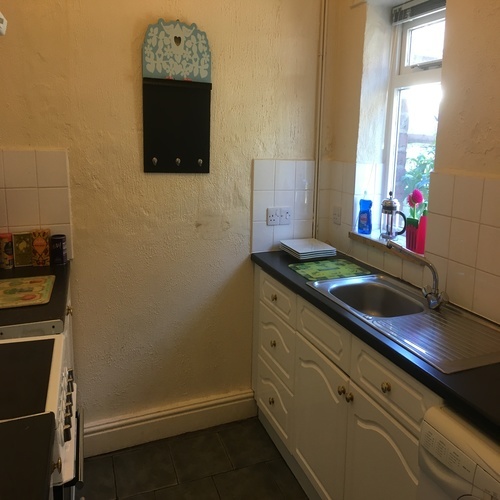 The large kitchen/diner is tiled and features a fitted kitchen, electric cooker, fridge/freezer, washing machine and kitchen table with seating for four. 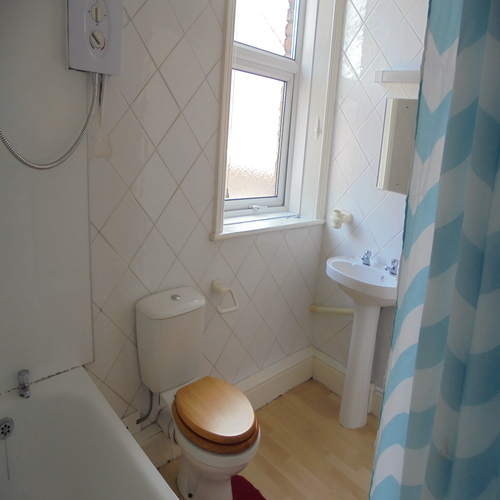 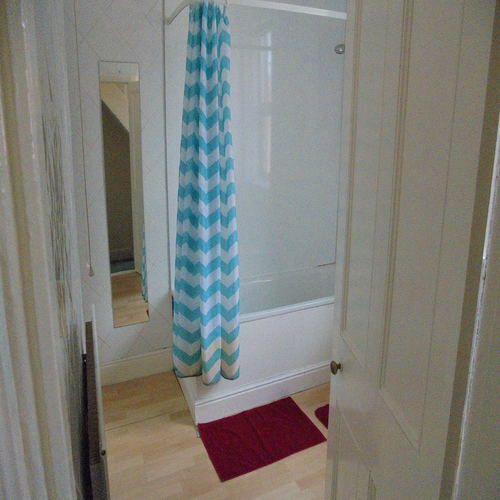 To the first floor is the bathroom (vinyl flooring) with electric shower, hand wash basin and WC along with the carpeted first double bedroom which is furnished with a pine double bed, wardrobe, chest of drawers, notice board, shelf, TV point, desk and chair. 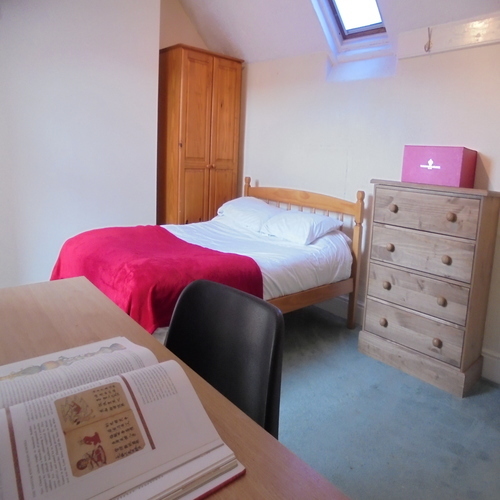 The character packed attic is home to the second bedroom, again carpeted, and has both dormer and a Velux windows. 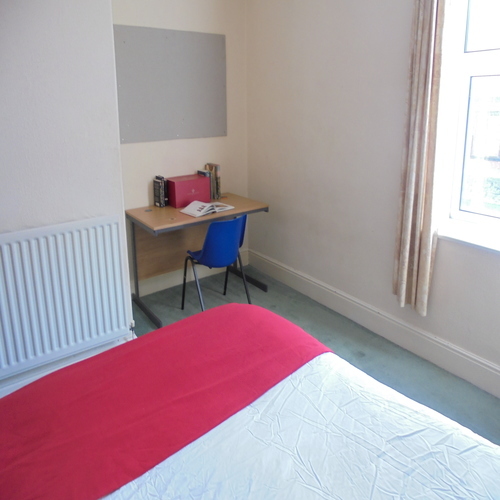 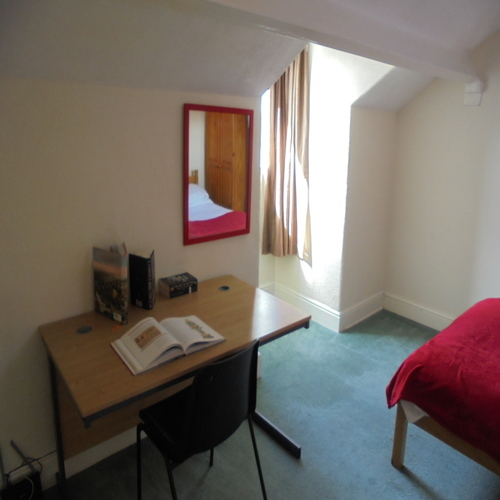 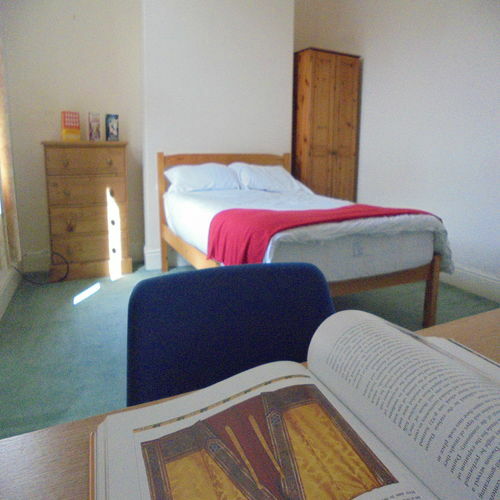 It is furnished with a double bed, wardrobe, chest of drawers, notice board, shelf, TV point, desk and chair.